This is not me ... at least not yet. 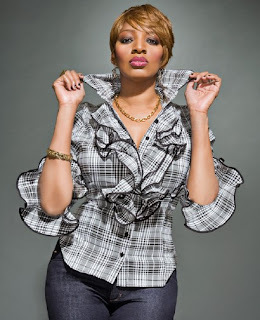 I am hoping to have a blog blog post up sometime soon about the latest episode of The Real Housewives of Atlanta aka How I Learned To Stop Worrying and Love NeNe Leakes, but I felt compelled to put up a quick blurb about Bravo's post-game show, Watch What Happens: Live (which may in fact be better than the show that precedes it). 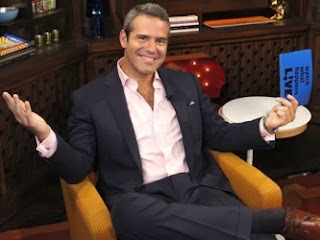 If you've never seen Watch What Happens: Live, it is essentially a program where Andy Cohen (Bravo's Sr. VP of Programming) gets absolutely hammered, becomes a little more gay than usual and interviews cast members from the show. Tonight he had NeNe and Cynthia on (who is absolutely stunning) and the three of them just sat around for a half-hour, talking trash on people and taking phone calls from viewers who I wish were me. And yes, I copied down the phone number and will be trying to call in next week, especially now that I know when this show airs. Is it me, or do you have no idea when these Real Housewives shows come on? It seems like my wife and I will just be sitting around on some weeknight and all of a sudden we'll see that it's on and catch the last 20 minutes of some episode from 3 weeks ago and then get sucked into watching around nine straight episodes. This can also happen on a Saturday afternoon, during halftime of any sporting event or any other time when we have electricity. Well, I think I've now figured it out: Atlanta is on at 10pm on Sundays and Beverly Hills is on Thursdays. And I seriously think I might be gay. Back to Cynthia, who is not necessarily the sexiest woman in the world (like that Columbian chick from Modern Family), but is ridiculously gorgeous (and I cannot believe how much I am sounding like Andy Cohen). NeNe was really the star of the show though; she looked great, coyly talked trash and did a great job using context clues to understand Andy's Yiddish. Look, I'm not quite ready to admit that I'm gay, but let me just say that I no longer have to ask my wife what channel Bravo is ........ it's #832 on Comcast Cable and #1 in our hearts. i liked your site, especially the collection of my favorite live tv channels. keep up the good work man.